Engine 2 is a pumper. 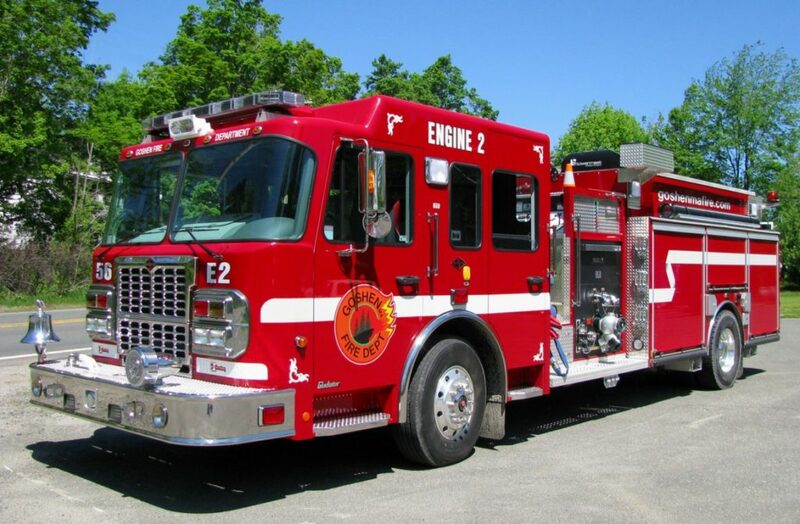 It is our primary attack engine and is used as a pumper or water supply unit in mutual aid situations. It does not technically qualify as a tanker since tankers require a minimum of a 1,500 gallon water tank. Engine 2 responds to all structure fires, alarms sounding (smoke and CO), vehicle fires, and vehicle accidents. It may respond to other situations based on whether the equipment on board will be useful. The truck also responds to illuminate nighttime emergency scenes because of the light tower on top of the truck. It also carries important equipment such as a thermal imager to see heat signatures, vehicle extrication equipment, portable generators and lighting units. 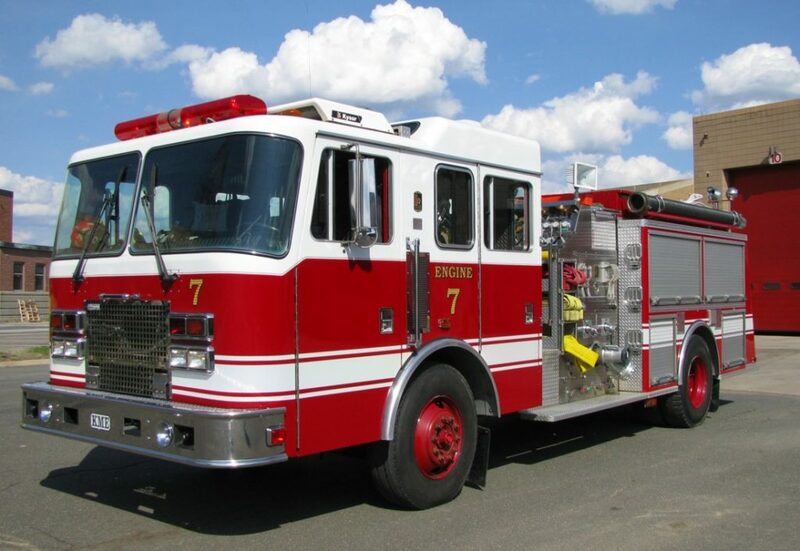 Engine 7 is the primary water supply engine or the secondary attack engine. It will respond to mutual aid calls for an engine company. (Does not qualify as a tanker.) Engine 7 responds to all structure fires, alarms sounding, vehicle fires, and vehicle collisions, if enough personnel are available to respond with it. It carries heavy duty chimney fire cleaning equipment that will not fit on Engine 2. It may respond to other situations based on whether the equipment on board will be useful. Rescue 1 responds to medical calls and all other calls if enough personnel are available to respond with it. It is used at structure fires for rehabilitation, and at motor vehicle incidents to protect the scene. Brush 1 responds to all brush fire, illegal burn, and springtime smoke investigation calls. May also respond to structure fires to supply water from a hard to access source. For instance, Brush 1 can set up a water supply at Lower Highland Lake from the far end of Aberdeen Road and supply water to an attack engine set up at Camp Howe through a supply line up the Camp’s lake access road. Responds to mutual aid wildland fire calls and State Task Force unit activation calls for wildland fires. Car 1 responds to all Fire Department calls (when the Chief is in Town). Used for all Fire Department inspections. Also, used to travel to monthly Hilltown Mutual Aid meetings and monthly Hampshire County Fire Defense meetings as well as FD training. Car 1 responds to emergency calls to provide quick response direct to the scene to begin to size up the situation for additional response such as mutual aid and to begin to mitigate the situation. The Chief, if available, will respond to the scene ahead of the other units and may terminate a call based on it being a false alarm before the FD vehicles leave the station or mutual aid is dispatched. Car 1 also acts as the mobile Incident Command Unit at emergency scenes. 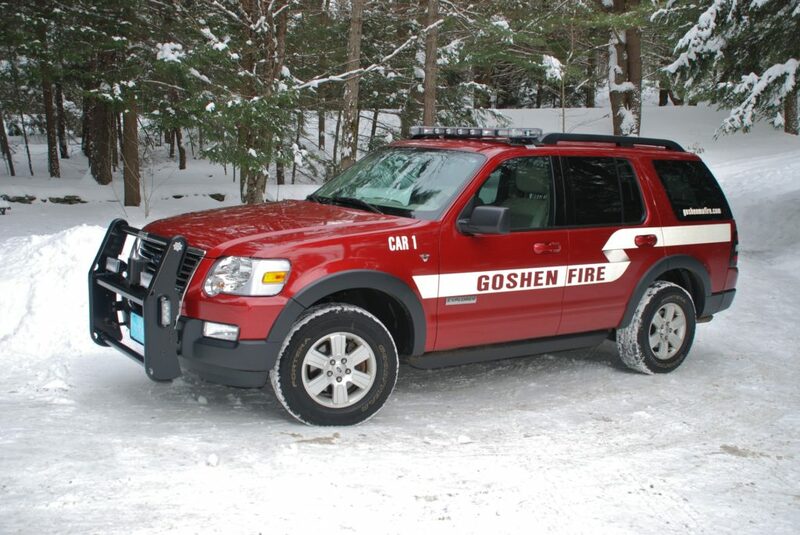 The Goshen Firefighters Association (GFA) has been in possession of and has since acquired the Town’s first fire engine – a 1937 Dodge – from the Town of Goshen for $1 in 2013. This used piece of apparatus was originally purchased for $1,000 in 1947. As a front line engine, it was the only fire truck that protected the citizens of Goshen for over a decade until Engine 4 – an American LaFrance – was purchased by the Town of Goshen in 1960 and replaced it. At that time, members of the GFA drove Engine 1 in local parades. In addition, the group travelled the region to participate in firefighter muster competitions that were held at places like Mountain Park in Holyoke, the Tri-county Fairgrounds in Northampton and at the Franklin County fair in Greenfield. To make space for two Highland ambulances in our current station, the 1937 Dodge had been stored in a barn at the Tilton Town Farm for many years. It became apparent to GFA members that storing the vehicle in a building that was historically used as a chicken coop was doing more harm than good to the unit. The GFA then purchased a portable storage garage that was set up behind the fire station. That worked well until the temporary structure collapsed after a heavy snowstorm. For the past several years, the truck had been stored in an open barn down in Lithia by the Judd family and behind the fire station. The volunteer members of the GFA through fundraising efforts and personal donations of time, money and labor began the process of preserving this historical resource. Longtime Goshen Fire Department Captain Steve Mollison was instrumental in kick starting this drive over a decade ago by collecting bottles and cans from the Town Transfer Station and turning them in for cash that was deposited in the 1937 Dodge Restoration Fund. Additional contributions and matching funds by supporters over the years saw the balance in the fund grow to over $7,000. During the same timeframe, the GFA expended over $3,000 toward truck repair, restoration and storage expenses. 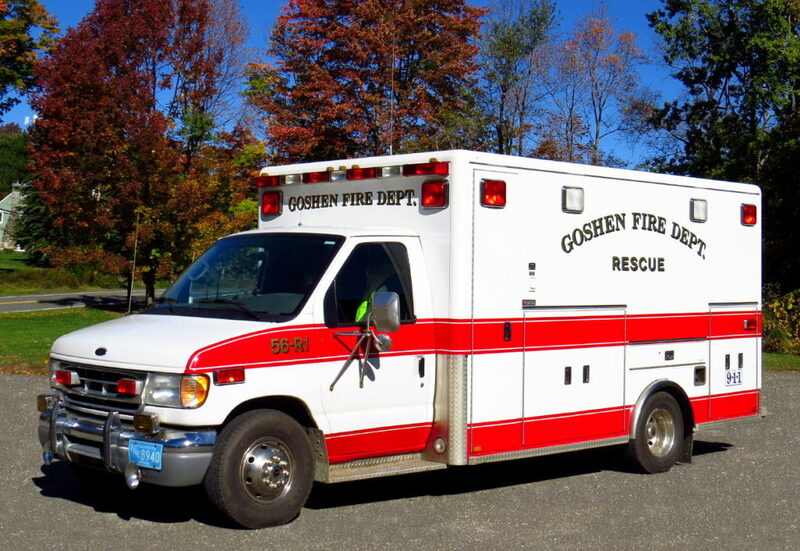 The impact of this vehicle was evident during Goshen’s 225thcelebration in 2006 and then again in 2008 when the apparatus was on hand for the celebratory ‘wet down’ of our new 2007 Darley fire engine. These occasions provided a venue where the town’s people stopped to share stories with GFA members and thank them for their dedication and years of service. Tradition and firefighting go hand in hand. Several of the town’s firefighters are second-generation members. 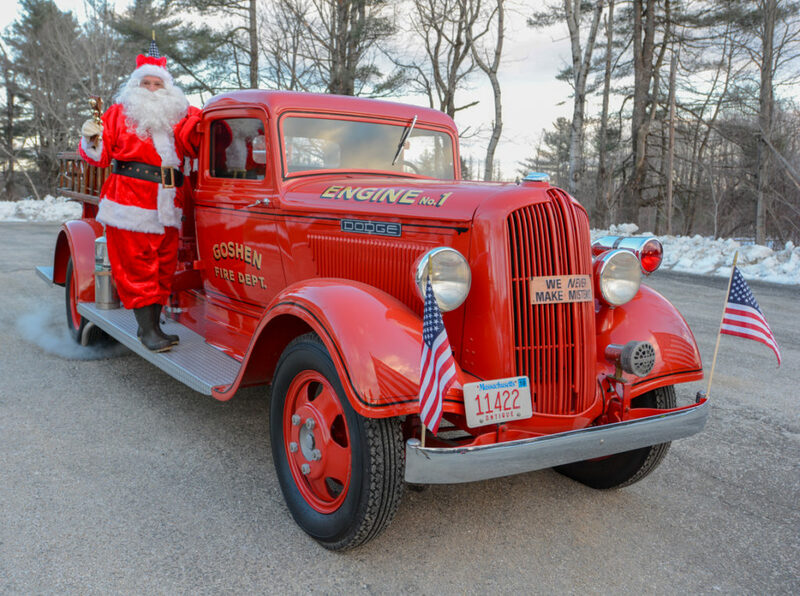 The preservation of the antique truck often falls to the senior members of the department and tradition continues to pass this responsibility on to the next generation of firefighters. 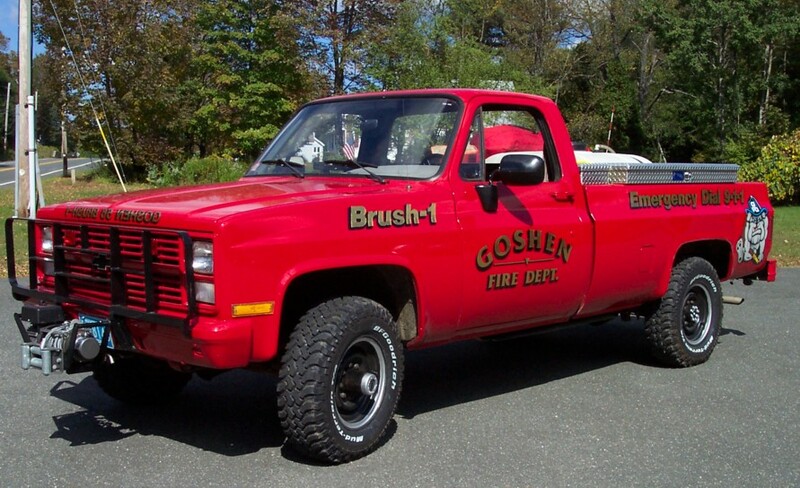 The preservation of the antique fire truck is an integral part of Goshen firefighting. We hope that this antique will help the Goshen Fire Department to recruit and retain volunteers from junior firefighters through more senior firefighters who are past retirement age.